MetaTrader 4 is a trading software for online and mobile trading on the forex, contract for difference (CFDs) and future markets. The platform has become so popular among traders that it’s used by a majority of forex brokers and is almost considered industry standard. The UK brokers listed in this article offers meta trader 4 or 5 software. The MT4, as it’s commonly known, was released in 2005 by a company called MetaQuotes Software. The company had been developing trading platforms and tools since 2002 and MetaTrader 4 was their highly advanced and anticipated platform. For UK based traders, there are some interesting alternatives avalible. MetaTrader 4 can be used to conduct trades, analyze markets, and for automated and copied trading. In this guide, we will tell you more about the different features MT4 offers as well as tips on how to best use them. Are you looking for a broker that offers the MetaTrader 4? Then scroll down to the bottom of this page where we provide a list of all the licensed MetaTrader 4 forex brokers. However, first, we’ll give you a quick rundown of how the MetaTrader 4 works and why so many brokers and traders prefer it over other trading platforms. It’s easy, straightforward, and totally free to download the MetaTrader 4 from MetaQuotes website or directly from the broker you’re using. MT4 is compatible with computers running on Windows, Mac, and Linux. The MetaTrader 4 also comes in two mobile app versions for Android and Apple phones and tablets, as well as in a browser version that we talk more about below. To install the platform you just follow the onscreen instructions after you have downloaded it. It takes no more than a few minutes and it will require you to set up a trading account. 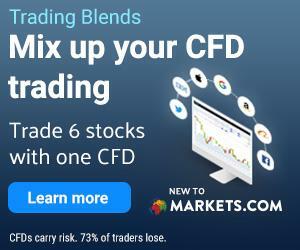 There are several dozen CFD brokers that currently use MetaTrader 4 as their main platform for currency trading. However, there are only a few brokers that run a legitimate business that we feel comfortable recommending and even fewer that offer MetaTrader 4. As a matter of fact, there is only one broker that works with MT4 that we can recommend to our readers at the moment, read more about it below. 24Option is one of the biggest and most serious brokers in the industry. They are fully regulated and licensed from CySEC (Cyprus) meaning they’re safe to use. With an account at Markets.com you get access to a large collection of currency pairs and other assets, but more importantly, you get access to the MetaTrader 4 trading platform and all the included tools. So if you’re looking for a currency broker and you feel like the MetaTrader 4 platform could fit your needs, we recommend that you open a trading account with 24Option – an industry-leading broker. We already mentioned that MetaTrader is a trading platform with several analytic and signal based functions. MetaTrader 4 comes with several hundred tools, add ons, and features that can be implemented depending on your level of knowledge and the strategy you use. All these functions are available from your trading account. We have listed MetaTrader 4’s main features to give you an idea of what you can expect. The MetaTrader 4 trading system can be used to combine different types of orders and modes that can easily be adjusted after the current market situation. To perform a trade on MT4 you need to choose a type of order that fits your trading strategy. For example, a market order is used for instant execution while Stop orders are created to help you minimize losses and conduct damage control. MT4 can also have several hundred analytic tools that literally covers everything that happens on the forex market at all times. The MetaTrader 4 software comes with a feature called Trading Signals that allows you to study and copy other traders in real time. Many successful traders operate as Signal Provides meaning that they offer their forex trades to the public. The trades are often free but can sometimes be sold for a reasonable price. Signal traders are sorted after their performance making it easy to find someone that is performing well and quickly copy their patterns. More and more people use the internet through mobile devices such as Android smartphones and Apple’s tablets. In order to meet this demand, MetaQuotes developed a mobile version of its platform. The apps can be downloaded from your broker, directly from MetaQuotes and from the App Store and Play Store. MetaTrader 4’s mobile version does not include all the features that the desktop version offers, but it is still very comprehensive. The main bonus with these tools is that you can start, close, and follow your ongoing trades where ever you might be, as long as you have access to the internet. A limited version of the MetaTrader 4 platform can be accessed directly via a web browser. This function is great if you’re using a shared or public computer or if you just want to check how your current trades are developing while you’re away from your computer. One of the most important habits to develop if you want to become a successful forex trader is to stay updated on what’s happening on the market. This means that you should be reading the news every day and then base your investments and strategies on that. To make this practice easier, MetaTrader 4 comes with a financial alert and news tool. This tool keeps you updated on the latest developments in the markets and can even send real-time updates and alerts straight to your cell phone. It is a feature that everyone involved in the MetaTrader 4 should use to their advantage. A demo account is a free account where you get to invest with virtual money. The majority of all brokers offers a type of demo account and the MetaTrader 4 is no difference. With a demo account on MetaTrader 4 you get access to all the tools, features, and advice offered on MT4, but completely free and without any risk. This type of trading is perfect for everyone that’s developing strategies, testing new trading techniques, or that wants to try the platform out before they decide to deposit their own money. We highly recommend that you open a MetaTrader 4 demo account whether you already have trading experience or not. I mean, why wouldn’t you want to get forex trading experience for free and without risking anything? I sure would. Automated trading with so-called trading robots is the latest craze in the forex trading world. With this type of trading, you can assure that you always get to trade when the market circumstances are just right. Even when you are not available to do it yourself. The automatic trading tool offered on MetaTrader 4 is called Expert Advisor. The tool lets you input certain signals and patterns that will activate the robot and start trading for you. This means that you will be engaging in trades that fit your strategy even if you’re working or at sleep. Nothing is more practical than automated trading and Expert Advisor is one of the leading automated trading robots on the market right now. By using MetaTrader’s trading robot you will never miss a trade opportunity again! What many people ask is why one should use a broker that offers the MetaTrader 4 and not a broker that has developed its own software and platform? It’s not a question we can answer because it needs to be based on your personal preference. However, there are a few perks with using MetaTrader 4 to trade on the forex market and we want you to know about them. The man advantage is that MetaTrader 4 is developed by a company that only works with and focuses on developing tools for trading. A broker that develops its own platform also has to focus on attracting new customers, offering a good brokerage service to existing customers, and all other responsibilities that come with running a broker. This often results in a less stable and user-friendly platform that makes the trading harder. Another reason why MetaTrader 4 is a good option is the many hundreds of features and tools that it comes with. Many platforms that have been developed “in-house” comes with limited functions and therefore limited opportunities. In 2010 MetaQuotes released a platform called MetaTrader 5 and due to its name, many assumed, (and still assume) that it was an updated version of the MetaTrader 4. But that is not the case. What this means is that your decision on what platform to use needs to be based on what you are planning to invest in. To learn more about all the brokers offering the MetaTrader 4, we suggest you check out our list of MetaTrader 4 Forex Brokers. On that page, we’ve listed all the best MT4 brokers with a description of why we think they are the best as well as links to our subjective reviews. If you’re a forex trader looking for a new broker this list is for yours. If you’re still not sure if forex trading is for you or if you want to take the MetaTrader 4 platform for a test drive, we advise you to open a MetaTrader 4 demo account. For your convenience, we’ve curated a list of the best MetaTrader 4 Demo Accounts to that you can find the best brokers right away. A demo account is just like a live trading account with one major difference. Instead of trading using your own real money, a broker provides you with virtual money. This means that you can trade using the MetaTrader 4 completely risk-free, however, since the money is virtual you can’t actually withdraw any of your earnings. Now, why would you want to trade without risk if you can’t make a profit? There are two reasons for this. Most people use a MetaTrader 4 demo account to test the MetaTrader 4 platform out and see if it suits them and if they like the platform. It also gives beginners the option of practicing trading before they sign up for a real account. The second reason people open a MetaTrader 4 demo account is to develop strategies and test new trading techniques. Back in the days, developing investment strategies was a costly affair since you had to risk your own money. However, with a demo account, you can test new strategies under real market conditions and not run the risk of losing anything at all. As you can see, a MetaTrader 4 demo account is a win-win situation for both beginners and more experienced traders. Before we continue discussing the MetaTrader 4 demo account we want to take the opportunity to list all of the regulated brokers that offer a MetaTrader 4 demo account. All of the following brokers are completely safe to use with the required licenses and permits. They have also gone through our rigorous evaluation process. By clicking the links you will get redirected to the review we’ve written about the broker, there you can find out more about the broker’s services, products, and, of course, the MetaTrader 4 demo account. The following three brokers are the best MT4 brokers out there, and if you’re looking for a broker, we suggest you start with one of them. However, if you, for any reason, don’t find a match here you can scroll down to our complete list of MT4 demo account brokers. Not only is 24Option one of the best MetaTrader 4 demo account brokers, but they are also one of the best CFD and forex brokers in general. Their product is solid in every way, and they have a reputation of being both fair and honest. 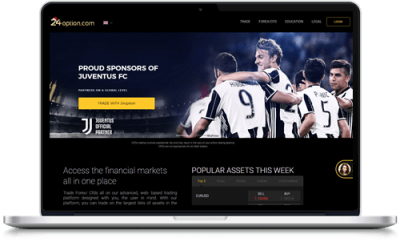 Also, 24Option is the official sponsor of the Italian football team Juventus which makes 24Option a great broker for all sports fans. IG Group – the company that owns and runs IG Markets – is one of the most well-known and established financial institutions in the UK. 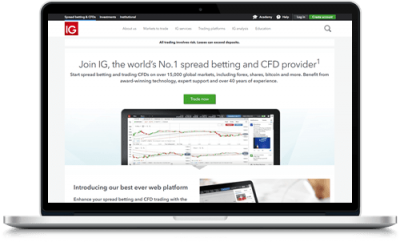 In addition to offering forex and CFD trading, IG Market also supports spread betting and regular stock trading directly from the exchange. In other words, IG Markets offers a comprehensive trading product with more opportunities than most other brokers. Furthermore, IG Markets’ main forex trading platform is the MetaTrader 4, and that is how they qualified for this list. 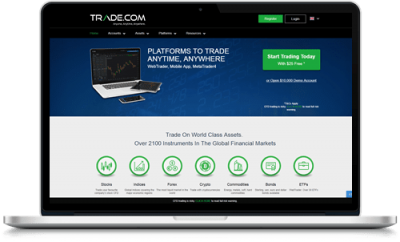 With over 2,000 assets, a large number of happy and loyal customers, and the MetaTrader 4, Trade.com is by far one of the best forex brokers today. We always enjoy trading with Trade.com and are confident that you will too. And don’t forget, if you’re not sure if Trade.com is the right match for you, you can always open a Metatrader 4 demo account with them and put the broker to the test. MetaTrader 4 is the leading forex trading platform in the world, and for good reason. By using the MT4 you will make your trading experience easier and by learning how to use it properly and implement all the trading features, you raise your chances of making a profit. The MT4 platform is offered by so many different brokers that you are bound to run into it at some point. Chances are that your currency broker is offering the MT4 but we recommend that you learn how to use it if even if they don’t offer it.